Laptop Lifts is one of those products that can fix a load of minor inconveniences. The product is pretty simple, when you look at the package you'll see that it consists of nothing more than six conveniently cut rubber lifts for your laptop. 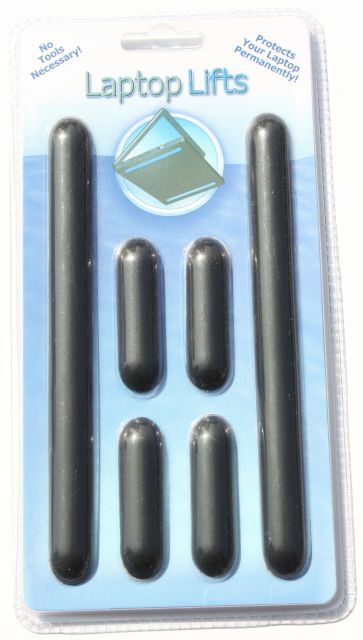 They don't look like much but these Laptop Lifts come in quite handy when you want to stop your laptop from slipping on your desk, while also making sure that your laptop or furniture doesn't get any ugly scratches. The Laptop Lifts elevate your laptop about half a centimeter, this improves airflow, makes it easier to grab your laptop off the table and prevents fluids from entering your laptop when you accidentally spill your beverage. The unique shape and large size (6"/15.25cm and 2"/5cm) resist side to side force and will not pop off. The special adhesive has superior grip strength and has been tested to over 240°F/115°C. However, they can be removed using only your fingertips without leaving any messy residue. No slipping thanks to the large soft rubber feet. Use your laptop on the tiniest coffee shop table or airline tray! 100% performance guarantee. Laptop Lifts will not come off until you take them off or your money back! The package includes six Laptop Lifts, two big 6" ones and four 2" ones. Depending on the size of your laptop this may be enough material for two laptops. 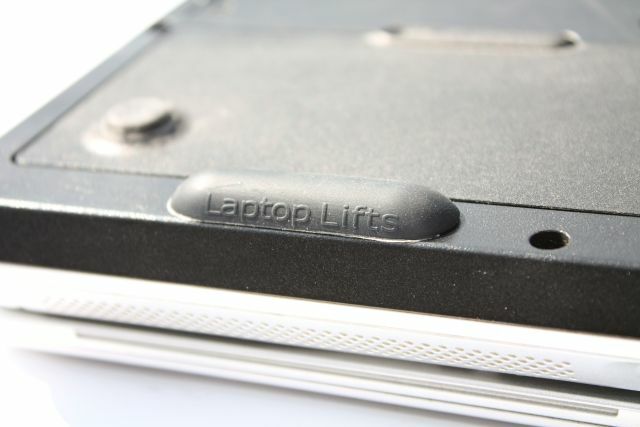 Here's a closeup of one of the smaller ones, on each of the rubber strips we find an embossed Laptop Lifts logo. 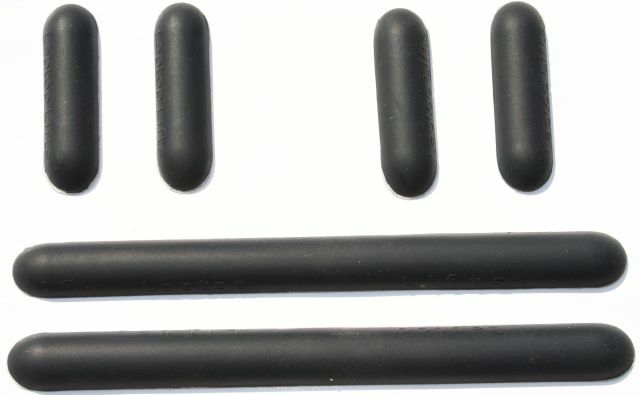 The rubber feels soft, it is pretty flexible and the shape resembles a half cylinder. According to CJSolvesIt, the company that developed this product, the adhesive and the specific shape of Laptop Lifts have a lot of strength against the side to side bumps and bangs that a laptop endures. And here's another shot with the paper backing slightly peeled off so you can see the adhesive. The laptop I used for this review is the Dell Inspiron 6000. It's not the ideal laptop to test this product though, as it already has five large rubber feet. I can imagine that notebooks like the Apple MacBook or other laptops that don't have large feet will benefit more from this product than my laptop. Applying the laptop lifts to your laptops only takes a couple of minutes. Arrange the Laptop Lifts on your notebook and make sure they don't block any access ports or vents. 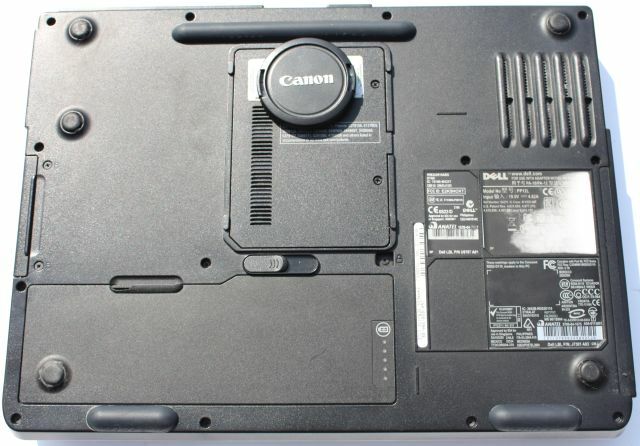 Before applying the Laptop Lifts it is recommended to first confirm that your laptop will be level and that it doesn't wobble. This can be done by putting a large book or similar flat surface on top of the Laptop Lifts to hold them in place. Then press your laptop and the book together like a sandwich and turn them over. Once you've confirmed that the placement of the Laptop Lifts is optimal it is recommended to clean the surface of your laptop with rubbing alcohol (isopropyl) to remove dirt. This is necessary to get optimal adhesion. 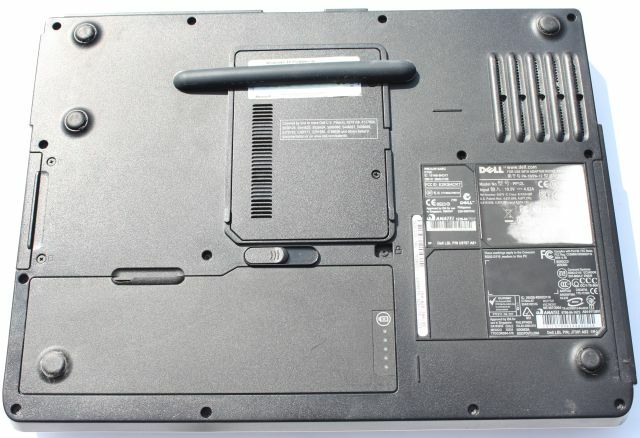 Once you've cleaned your laptop you can peel back the paper strips and apply the Laptop Lifts to the computer. It is not necessary to use all six Laptop Lifts, for my Dell Inspiron 6000 I used only three. Removing the Laptop Lifts is easy as well, just place your fingernail under them and peel them off. In case some adhesive residue is left behind you can can remove it with rubbing alcohol, but normally it shouldn't be much. I've been using the Laptop Lifts for a couple of months now and I can guarantee that they will not easily come off under normal usage. They keep sticking even if you push or pull with quite a lot of force on the sides of these things. Laptop Lifts is a pretty simple product but it comes in quite handy when your laptop doesn't have good feet. It will make sure your laptop doesn't slip and offers some protection by preventing scratches, improving airflow and because it raises your laptop a bit from your desk it will prevent fluids from entering your precious laptop when you accidentally spill your coffee. The Laptop Lifts apply easily and stick well so they won't accidentally fall off after just a couple of weeks. If this is what you're looking for I definitely recommend this product, but if your laptop already has good rubber feet then it's better to leave your money in your pocket. You can buy the Laptop Lifts at the company's website for $14.99 with free shipping, even for international orders. Alternatively, you can also get it from Amazon for $9.99 (plus some shipping charges). I give the Laptop Lifts a rating of 8/10.